This is the only Snow Scene ever painted by Daniel Van der Putten of Ireland and is a wonderful serene rural Cork scene near Mallow in Co. Cork. Van der Putten is Dutch born but resides and paints in the UK. Exhibited only in the finest Galleries, it is a great honour to have this rare painting by Van der Putten in my Gallery. 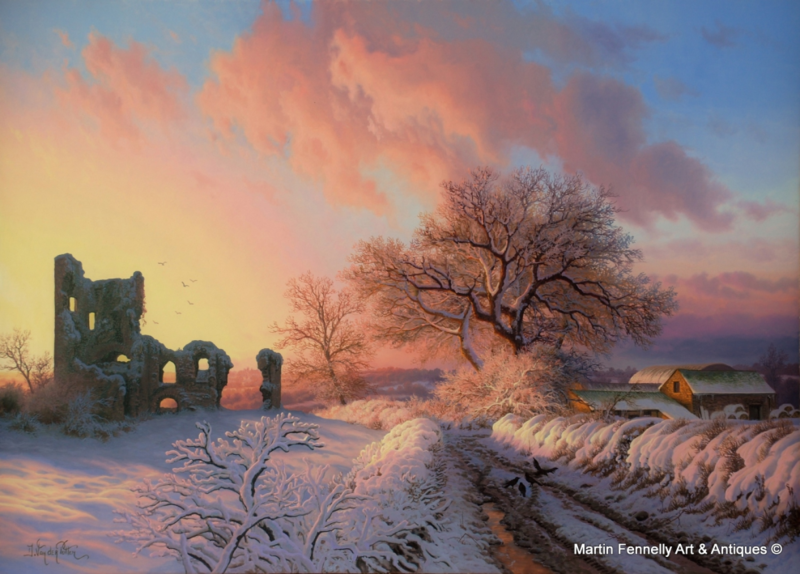 This magnificent Snow Scene of "Castle Monparson" Mallow, Cork in the South West of Ireland shows how Van der Putten's majestic brush work captures with consummate finesse this peacful rural winter scene in the stunning Irish Contryside. This is a very rare Painting by Van der Putten, the Famed Dutch Artist that until now mainly painted English Scenes.